I know what most of you will say, and yes, I do call “soccer” football. Most of the world does, so let’s move on. 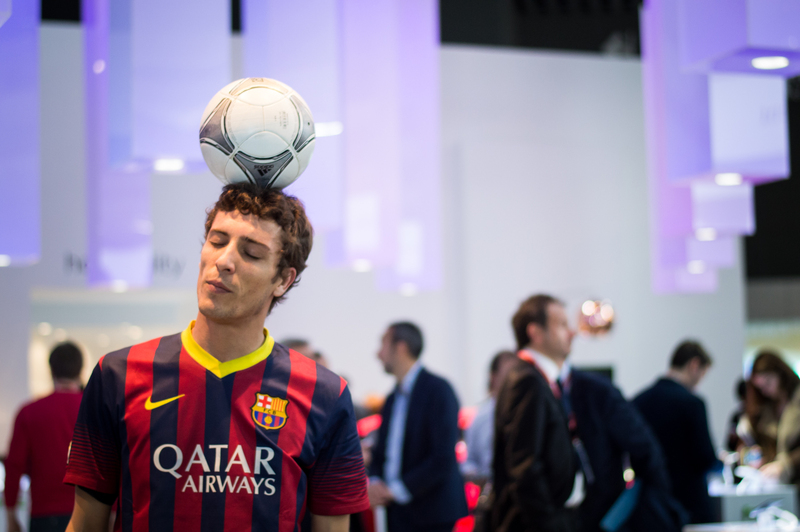 I wanted to share some cool photographs I took while I was roaming around MWC 2014. I already showed you what work was all about, so now I thought I should give you some personal photos. It’s always fun to see what the companies bring to entertain the crowd. Whether it’s with cool gadgets, food, drinks or performances, you can be sure companies will give you a good time. 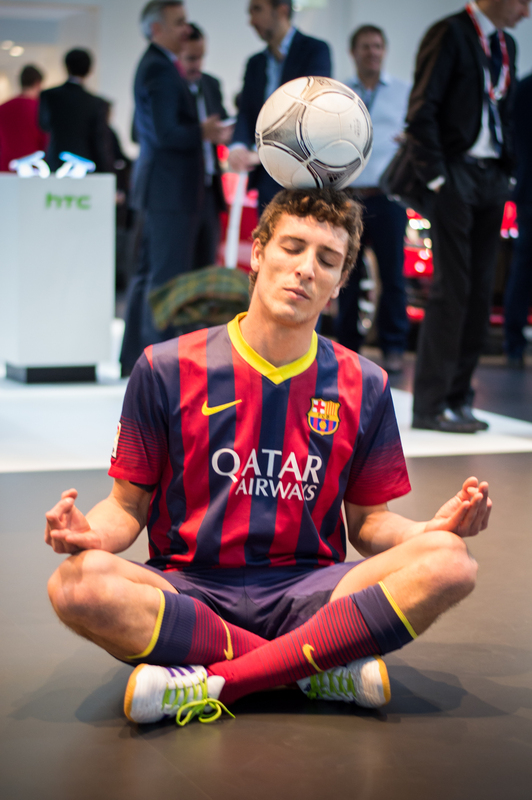 One of my favorites was at HTC’s booth, where they had Football players doing all sorts of cool tricks. The guys were moving very fast, but I got some good images thanks to the 50mm f1.8 lens I took with me. The wider aperture definitely helps for faster shots, without having to kill the ISO levels. There is not much else to say, so enjoy them and let me know what you think about them!